Serviced apartments, motels and hotels at cheap, budget rates is what Budgetstay.com.au brings to you. The best thing about Budget stay is that it allows you to deal directly with a wide range of Sydney hotels and apartments and get quality, budget accommodation at really cheap rates. So book your next business trip or family holiday with confidence on Budget Stay, knowing you are getting the cheapest rates for your Sydney accommodation. The Metro Hotel Sydney Central offers well appointed guest rooms and suites at very affordable budget rates. For added convenience the Town Hall, Central railway station, Sydney Convention and Exhibition Centre, Aquarium, IMAX cinema and Darling Harbour are just a short walk away from this budget Sydney accommodation. The friendly and helpful staff at the Metro Hotel Sydney Central are always happy to help guests find their way around the city of Sydney or recommending places to visit. With a 24 hour reception, security keycard entry, in-room Foxtel and broadband internet, as well as access to the Metro Hotels licensed restaurant and bar, rooftop swimming pool and dry cleaning service the Metro Hotel Sydney Central is a truly exceptional place to stay in the heart of the Sydney CBD. The Parkview Hotel Sydney is conveniently located very close to Victoria Park, the Broadway Shopping Centre, Glebe restuarants and Saturday Market, the Sydney fish market, Sydney University, the Footbridge Theatre, the Seymour Centre and Sydney's world famous Darling Harbour. This fabulous location combined with the exceptional discount hotel rates makes the Parkview Hotel Sydney the ideal budget accommodation in the Sydney CBD. All of the cheap hotel rooms at the Parkview Hotel Sydney have an oriential flavour and have air conditioning. The Y Hotel Hyde Park Sydney provides budget hotel accommodation in a wonderful, central Sydney city location. Ideally positioned directly opposite Hyde Park and Oxford Street the Y Hotel Sydney places you within easy walking distance to Sydney's best tourist attractions including city shopping, fine restuarants, nightlife entertainment, Chinatown, Sydney Opera House, The Rocks and even Darling Harbour. This very affordable discount Sydney hotel even includes continental breakfast in their cheap hotel rates. Added hotel facilities at the Y Hotel Sydney include a cafe and guest lounge, internet kiosk, wireless internet access, guest kitchen and laundry facilities. The Pensione Hotel Sydney is located in an enviable city location on George Street in the Sydney CBD and provides the budget conscious traveller with a wide range of affordable hotel accommodation. The Pensione Hotel Sydney is only a short walk to Sydney famous Darling Harbour, Star City Casino, Chinatown, Hyde Park, public transport and the wonderful shopping in and around the city centre. With a 24 hour reception, daily housekeeping, guest laundry, wireless internet access and tour desk this budget Sydney hotel is the perfect place to stay. 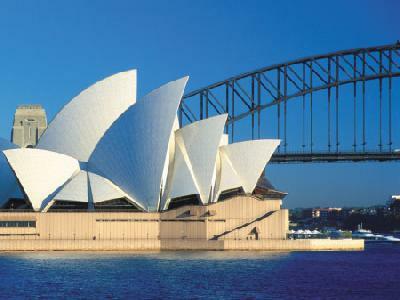 When you stay at the Econo Lodge Hotel Sydney you can start your day with a morning stroll through Hyde Park, admiring Memorials, Cathedrals, Gallerys and the beautiful architecture. Alternatively you can party the night away on Sydney's famous Oxford Street or the reknowned Kings Cross. Hotel guests can also climb Sydney Centrepoint Tower for a birds eye view of one of the most breath taking Harbours in the world or visit the Sydney Opera House, Sydney Superdome or take a tour of Fox Studios in hopes of catching a glimpse of your favourite movie star. The Econo Lodge Hotel Sydney is located just 150 metres from Sydney Central Station with the city centre at your finger tips and the budget Sydney accommodation rates will ensure you save money which can be used to enjoy everything else that Sydney has to offer. The Haven Glebe Hotel Sydney is close to all of Sydney's major tourist attractions including The Sydney Opera House, Circular Quay, The Rocks, Darling Harbour, Star City Casino, Chinatown, The Capital Theatre and Central Railway. This quality Sydney hotel is positioned in the heart of the Sydney suburb of Glebe, which has more pubs, cafes and restaurants than any other suburb in Sydney. Just 300 metres from the Haven Glebe Hotel Sydney are The Harold Park and Wentworth Park Racetracks and Darling Harbour, Chinatown and the Sydney CBD are only 1.5kms away from this discount Sydney hotel. The hotel accommodation at the Haven Glebe Hotel Sydney is fully airconditioned with new flat screen TV, DVD and CD player, new bathrooms, new beds, electronic safes, executive work desks, broadband internet access and use of the hotel's large outdoor swimming pool. The Y Hotel City South is ideally positioned on the edge of the Sydney CBD and provides affordable budget hotel accommodation in Chippendale for individuals, couples and groups. Guests staying in this cheap Sydney hotel can also take advantage of the nearby attractions including dining at the beautiful Cockle Bay restaurants, shopping in the CBD and Paddy's Market, visiting the famous Sydney Aquarium, walking through the Chinatown precinct or experiencing the wonder of a breath taking cruise around Sydney Harbour. The Y Hotel City South Sydney has great hotel facilities such as a rooftop garden, BBQ facilities, shared kitchen, guest laundry, internet room and same day luggage storage facilities. Sitauted only a short 10 minute walk from Darling Harbour, the Sydney Convention & Exhibition Centres, the Central train station and the Sydney CBD the Vulcan Hotel Sydney is the perfect budget hotel accommodation for both business and leisure travellers. Many of Sydney's finest restaurants, cafes and bars are just a short walk away from this discount Ultimo hotel at Cockle Bay Wharf and Darling Harbour. With such a convenient location the Vulcan Hotel Sydney provides easy access to all of Sydney's famous city sites including the Sydney Harbour Bridge, Sydney Opera House, Chinatown, Hyde Park, Centrepoint Tower and a great shopping guide to all that Sydney has to offer. Quality hotel accommodation at budget prices is what the Vulcan Hotel Sydney is famous for. The Comfort Inn Hunts Hotel provides all sorts of travellers with budget accommodation in Liverpool in a choice of hotel rooms styles that have been specifically designed to suit your every need. With a great, central location close to everything that Sydney has to offer the Comfort Inn Hunts Liverpool is a popular accommodation for people on any budget. This Sydney property features a wide range of accommodation and facilities like lounge bar, business centre, conference centre, direct internet access, disabled facilities, faxing facilities, free car parking, guest laundry, restaurant, room service, outdoor swimming pool, tennis court, bbq, 24 hour reception and daily housekeeping, which makes it a popular place to stay. Business and leisure travellers staying at the Comfort Inn Hunts Liverpool will appreciate the unique home away from home feeling at the property and also its close proximity to the businesses and commercial area of Campbelltown. The Park Regis City Centre Hotel Sydney has been specifically designed to cater for both the corporate and tourism markets. This discount city hotel accommodation has been refurbished and provides modern hotel rooms located in the heart of Sydney CBD on the corner of Park & Castlereagh Streets. The Park Regis Hotel is just 1 block from Town Hall Train Station and the Airporter bus meets all flights and drops guests off at the Park Regis' front door. There are many clubs, pubs and fine dining restaurants no more than a short stroll away from the Park Regis City Centre Hotel Sydney. Also the Sydney Cricket Ground, Darling Harbour, Sydney Harbour, Sydney Opera House and fabulous Rocks Precinct are close by to this budget Sydney city hotel. The clean and comfortable Lane Cove accommodation that is provided by the Comfort Inn North Shore features queen bedding, mini bar, reverse cycle air-conditioners, digital television, internet connection, Foxtel and much more. The Comfort Inn North Shore provides easy access to all of the major business and tourist attractions in Sydney, which is what makes it the perfect self contained apartment accommodation for your next stay in the city. The property also features numerous guest services and facilites such as lounge bar, direct internet access, faxing facilities, free car parking, guest laundry, restaurant, room service and daily housekeeping. With easy access to everything in Sydney and the surrounding precincts like Chatswood the Comfort Inn North Shore offers travellers a range of hotel accommodation that will meet your every need. The Central Railway Hotel Sydney is a family operated motel which offers friendly customer service complete with lots of travel tips about Sydney, all only 400 metres south of the central railway station. This central city location also makes this affordable hotel close to all of Sydney's major sightseeing and tourist attractions including China Town, Darling Harbour, Sydney Harbour, Centre Point Tower and Sydney Opera House. All of the budget hotel rooms at the Central Railway have kitchenettes with microwaves & refrigerators, balconies which offer views over Chalmers street into the city, en-suite bathrooms, hairdryers, fans, colour television, radio-clock, coffee/tea making facilities and direct dial telephone. The focal point of Central Railway Hotel Sydney is the private outdoor courtyard which is perfect for relaxing after a hard day at work or sightseeing. Budget accommodation located right in the heart of Sydney. Perfectly located to explore the sights and attractions that Sydney CBD has to offer. 2 minute walk to Central Railway Station, 10 minute walk to Chinatown, Darling Harbour, Paddington Market, Sydney Town Hall, Hyde Park, the Queen Victoria Building. Staying at the Central Private Hotel City in Sydney allows you to make the most of the many guest facilities at this affordable property, including the direct internet access, faxing facilities, tour desk and security. Sydney Central on Wentworth offers unique, quality budget style 2 star hotel accommodation in the heart of the Sydney CBD. Sydney Central on Wentworth is ideally located in the centre of the city of Sydney, close to all Sydney attractions, amenities, shopping and transport. No matter the reson for you travel, business or leisure, the Central Station Hotel provides discount accommodation in a great Sydney CBD location. It also features a wide range of modern services such as direct internet access, faxing facilities, guest laundry, lift and daily housekeeping. Centrally located in North Sydney, close to the central business district and with easy access to Sydney CBD, North Shore Hotel provides warm and friendly country style guesthouse accommodation for your stay in Sydney. No matter the reson for you travel, business or leisure, the North Shore Hotel provides discount accommodation in a great North Sydney location. It also features a wide range of modern services such as bar area, business centre, faxing facilities, guest laundry, room service, airport shuttle and for your convenience daily housekeeping. Aarons Hotel Sydney - 3.5 star budget hotel accomodation in the heart of the Sydney CBD. Fantastic location, fantastic service, fantastic rates. Situated in the beating heart of the Sydney city, Aarons Hotel is a unique 19th century building which has been completely renovated to offers modern facilities, service and comfort. No matter the reson for you travel, business or leisure, the Aarons Hotel Sydney provides discount accommodation in a great Sydney CBD location. It also features a wide range of modern services such as disabled facilities, guest laundry, lift, restaurant, tour desk, airport shuttle, 24 hour reception, baby cots for hire and daily housekeeping. The Highfield Hotel offers art-deco budget hotel accommodation in a peaceful and leafy setting, centrally located in the heart of the tourist precinct of the Sydney CBD. FREE BREAKFAST DAILY. FREE INTERNET. The Highfield Private Hotel is well located in Potts Point, meaning that it is close to everything that the city has to offer. As well as this the property also has numerous guests facilities and services including direct internet access, tour desk and airport shuttle. The Posh Hotel, Sydney is a brand new (2010), boutique hotel located in the exciting and busy inner-city suburb of Chippendale. With a very short walking distance to the Sydney CBD, the heart of Chinatown, Darling Harbour, Cockle Bay Wharf, Sydney Convention and Exhibition Centre, Sydney Entertainment Centre, Sydney Aquarium, Sydney Wildlife Park and located eight kilometres from Sydney airport, the Posh Hotel is the perfect place to stay to discover Sydney. The Posh Hotel is well located in Sydney CBD, meaning that it is close to everything that the city has to offer. As well as this the property also has numerous guests facilities and services including direct internet access, faxing facilities, lift, room service, security and for your convenience daily housekeeping or all rooms. The Sleep Express Motel Sydney aims to provide modern, comfortable standards of accommodation at an affordable budget price. The Sleep Express Motel offers 3 star rated budget accommodation only 10 minutes from Acer arena, Telstra / ANZ Stadium, the Sydney Show Grounds and Homebush bay. Staying at the Sleep Express Motel in Sydney allows you to make the most of the many guest facilities at this affordable property, including the free car parking, guest laundry and BBQ facilities. Situated in the inner city, bayside suburb of Potts Point, the De Vere Hotel offers affordable accommodation ideal for both business and leisure travellers visiting Sydney. This boutique style accommodation in Sydney has close proximity to Sydney CBD and is only metres from Rushcutters Bay. Staying at the Devere Hotel in Sydney allows you to make the most of the many guest facilities at this affordable property, including the conference centre, direct internet access, faxing facilities, guest laundry, lift, restaurant, room service, tour desk, BBQ facilities, 24 hour reception, baby cots for hire and daily housekeeping. The Garden Lodge Sydney Hotel offers 3 star budget tastefully furnished and well-equipped hotel accommodation centrally located just 7 kms from the Sydney Central Business District, the cities main commercial centre. The Garden Lodge Sydney is well located in Haberfield, meaning that it is close to everything that the city has to offer. As well as this the property also has numerous guests facilities and services including direct internet access, disabled facilities, faxing facilities, free car parking, guest laundry, restaurant, tour desk and daily housekeeping. Cambridge Lodge offers outstanding budget B&B Hostel Guesthouse Hotel Accommodation in the trendy Inner West Sydney suburb of Stanmore.Newly renovated in 2004, Cambridge Lodge B&B Hostel Hotel proudly delivers a high quality, friendly, safe and comfortable budget accommodation experience in Sydney at an affordable price. Staying at the Cambridge Lodge in Sydney allows you to make the most of the many guest facilities at this affordable property, including the direct internet access, guest laundry, BBQ facilities, garden and security. Excellently positioned in Kirribilli on Sydney's north shore, Glenferrie Lodge provides a range of guest accommodation at affordable prices. Choose from a selection of single, double and family rooms at this Sydney accommodation. Staying at the Glenferrie Lodge in Sydney allows you to make the most of the many guest facilities at this affordable property, including the conference centre, guest laundry, pets allowed, restaurant, BBQ facilities and airport shuttle. Capitol Square Hotel Sydney is Sydney's best value economy hotel - a 3 star budget hotel renowned for being Sydney's best value international standard & national heritage listed boutique hotel. Capitol Square Hotel Sydney is ideally located within Sydney in the CBD with a range of attractions on the doorstep. Staying at the Capitol Square Hotel Sydney in Sydney allows you to make the most of the many guest facilities at this affordable property, including the direct internet access, disabled facilities, faxing facilities, guest laundry, lift, restaurant, airport shuttle, 24 hour reception and daily housekeeping. Situated in Penrith and providing accommodation at the base of the Blue Mountains, the Penrith Valley Inn offers a range of quality motel rooms at an affordable price. Located in a quiet, yet central location, the Penrith Valley Inn is only 1km from the Penrith CBD and just a short drive to the Olympic Whitewater & Rowing Centre, Museum of fire, Sun Masamune, Penrith ice skating rink and 3 golf courses. The Penrith Valley Inn provides easy access to all of the major business and tourist attractions, which is what makes it the perfect hotel accommodation for your next stay in the city. The property also features numerous guest services and facilites such as conference centre, direct internet access, free car parking, guest laundry, spa, outdoor swimming pool, tour desk and daily housekeeping. With convenient access to everything due to its central location this budget Penrith accommodation is a remarkable place to stay with all of the comforts of a true home away from home. The Lido Suites & Apartments Sydney is located right in the excitement capital of Sydney, King Cross, which is surrounded by night clubs, restaurants, cafes and bars. The Lido Suites provides discount studio apartment accommodation in Kings Cross only a stone's throw away from the city centre of Sydney and a leisurely stroll to Woolloomooloo and Paddington. Guests staying at the Lido Suites Sydney can really make the most of everything that Sydney has to offer including the nightlife of Kings Cross, the Sydney city centre with it's landmarks such as the Sydney Harbour Bridge, Sydney Opera House, Hyde Park and Paddington. These budget Sydney apartments are also located just 5 minutes drive to Randwick Racecourse, Sydney Cricket Ground, Aussie Footballl Stadium and Fox Studios. The fully self-contained studio apartments at the Manly Beachside Apartments are one of the few properties in the area that caters for budget conscious travelers. So if you are looking for clean, comfortable and private accommodation in Manly at an affordable price then these serviced apartments are an excellent choice. By choosing to stay at the Manly Beachside Apartments guests will be able to choose from a wide range of budget hotel rooms with discount rates available for longer stays. The central location of this property means that it is within easy reach of many of city's major attractions including the inner city suburb of Cremorne, making it a great place to stay for corporate travellers and holiday makers. With lots of interesting and exciting things to see and do in and around Sydney guests who choose to stay at the Manly Serviced Apartments will be well positioned to see them all. This budget property provides business and leisure guests with fully self contained discount Manly 1 bedroom apartments that are spacious and well equipped, as well as great hotel facilities that add to your accommodation experience. Offering a selection of quality furnished 2 and 3 bedroom apartments for short or long term stays the Caulta Apartments in Parramatta, Sydney are the ideal accommodation for both business travelers or holiday vacation rentals. Things to do in and around Parramatta include shopping at duty free stores, numerous cafes, restaurants, nightclubs, pubs and clubs, cinemas, riverside theatre, Parramatta stadium, 9 hole golf course and the historic Brislington Museum which was built in 1821. The discount accommodation in Parramatta available at the Caulta Apartments Sydney will suit travellers who are needing to stay in Sydney's West on a budget. With captivating views of Sydney Harbour, the Sydney Harbour Bridge, the Sydney Opera House and the city sky line the Macleay Serviced Apartments Sydney truly is one of Sydney's finest discount accommodation venues. The Macleay Serviced Apartments is positioned in stylish Potts Point, one of Sydney's most coveted locations. The Centre Point Tower is only 1.5 kms away and Circular Quay is just a 25 minute walk through the lovely Royal Botanic Gardens. All of these Potts Point studio apartments are light & airy and come complete with a well equipped kitchenette and ensuite bathroom. There as also many open air cafes, restaurants and bars close by to the Macleay Serviced Apartments Sydney in where guests can enjoy either a luxurious 5 course meal or a budget meal before soaking up the nightlife. The Ultimate Apartments Bondi Beach is a brand new accommodation property offering discount apartments on Bondi Beach. With some of the best budget prices on the beach this fully self contained apartments including facilities such as Free Foxtel satellite TV and use of the outdoor swimming pool and sun deck. Conveniently located in the central Bondi village and within 5 minutes walk of Sydney's ultimate beach, Bondi, the Ultimate Apartments Sydney will make sure that your next holiday to Sydney is both relaxing and memorable, without breaking your budget. The apartment accommodation provided by the Parkside Apartments in Parramatta, Sydney is ideal for short or long-term stays by business travelers and holiday guests. The Parkside Apartments Sydney offers a selection of quality furnished apartments at discount rates for longer stays. When staying in these fully self contained 2 bedroom apartments guests can also make the most of everything that nearby Parramatta has to offer including numerous fine dining restaurants, cafes, shops, cinemas, nightclub entertainment, clubs and public transport to the Sydney CBD. Apartment accommodation close to Homebush Bay that is perfect for families on holiday or relocating to Sydney.